One of the most important festival Christmas is coming! You must be so excited and every member of your family may have been preparing for it. What would you like to prepare? To buy or make something special as presents for your family and friends or to prepare a great party so that you can enjoy together? Anyway, Christmas carols and songs must be filled with the air during the Christmas and you definitely need to download Christmas carols from YouTube. And it is necessary for you to be skillful in getting YouTube Christmas carols. A Christmas carol is a hymn with lyrics on the theme of Christmas. Traditionally, a Christmas carol is sung on Christmas or during the surrounding holiday season, which may be regarded as a subset of the broader category of Christmas music. There are a lot of Christmas carols which often derive from the masterpieces of famous musicians. Nowadays, to sing or enjoy the Christmas carols are essential parts for Christmas Day. Christmas carols on YouTube become more and more popular since you can enjoy it whensoever and wherever after you download Christmas carols from YouTube. And there are top 5 YouTube Christmas carols that you may need. 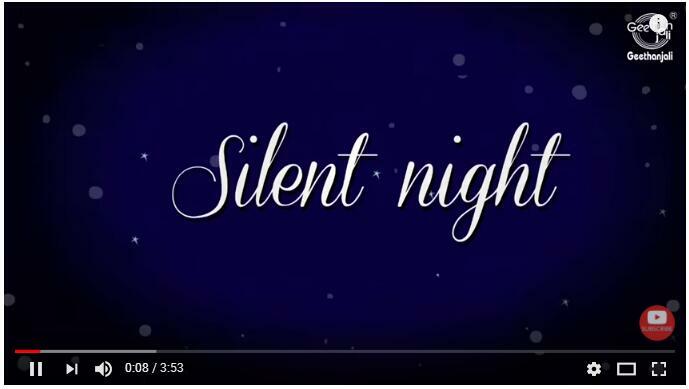 Among all the popular masterpieces of Christmas carols, Silent Night would be the most famous and well-known one, which was created by a godfather in a small village of Austria and was so widespread that it had become a must-have carol for Christmas. “In the bleak midwinter, frost wind made moan…”when the music arises, you must know that Christmas is coming. 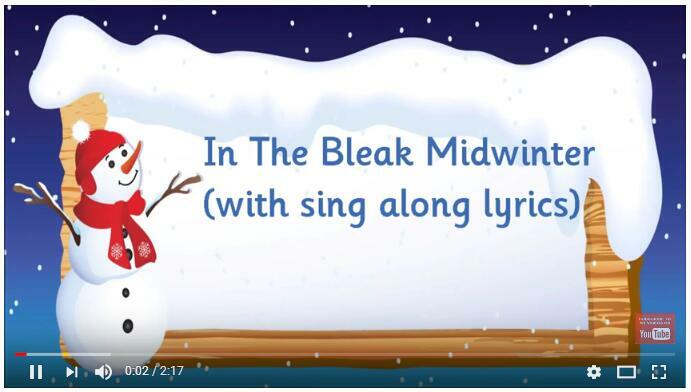 In The Bleak Midwinter is also one of the top YouTube Christmas carols, which was created by Christina G. Rossetti who was a great poetess and Gustav Holst, a famous British composer. Away in a manger is a carol particularly associated with children, which has been certainly popular for a long time and may be always be popular because of its gentle melody and words. And there are enough sources in YouTube for you to download. 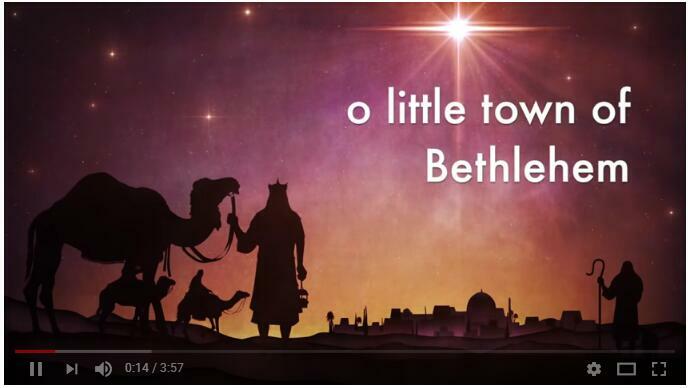 O Little Town of Bethlehem is one of the most popular Christmas Carols as well. 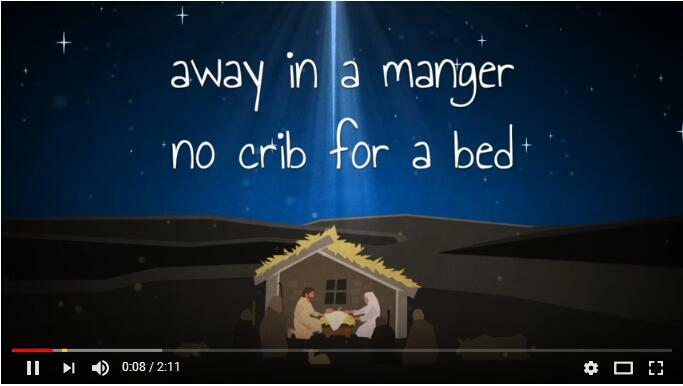 A version of O Little Town of Bethlehem on YouTube is set to the English Forest Green melody－not the original Redner version, but the version is great and worth to get from YouTube Christmas songs playlist. This is also typical Christmas Carol which is a traditional Christmas carol in England. It is well-known and sung everywhere as a great Christmas Carol. Since there list several Christmas carols, you must have been indulged in the beautiful melody and want to download Christmas carols from YouTube so that you can enjoy with all you friends and families. 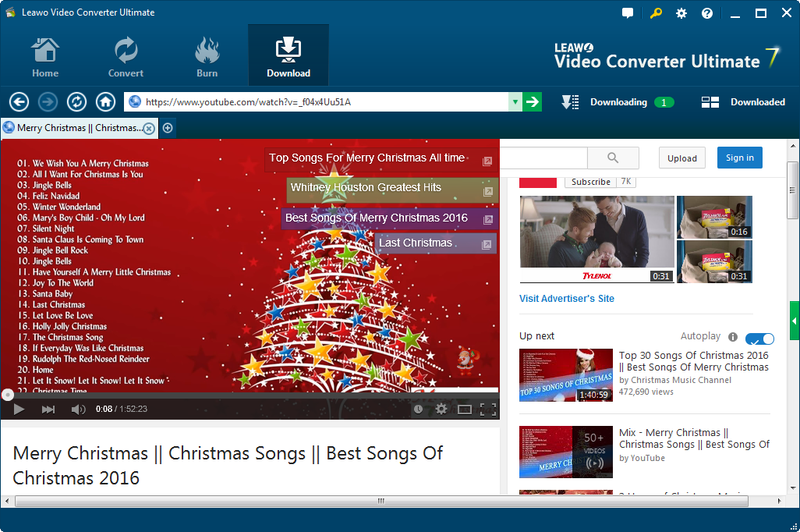 Then to make a YouTube Christmas songs playlist and download YouTube Christmas carols with lyric will help you more. So how can you get this done quickly and smoothly? h Leawo Video Downloader will give you great help. Leawo Video Downloader is a professional and powerful downloader software that can empower you to download videos, TV shows, movies and musics from over 1000 sites like YouTube, Vimeo and Vevo, which supports 720P, 1080P, and other HD Videos with 6X faster speed. 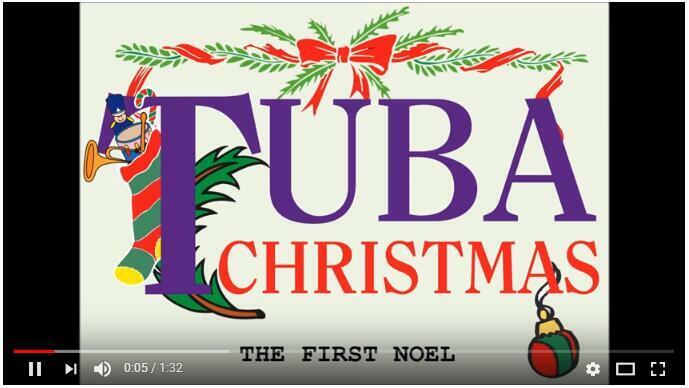 For downloading Christmas carols on YouTube, it is undoubtedly useful and functional. Besides, it works in simple steps, and you can download Christmas carols from YouTube with the following guide. First you can download and install Leawo Video Downloader on Computer. After installing and launching the Video Downloader, you can open the “Download” tab to import YouTube Christmas carols by pasting Christmas carols’ URL in the address box. 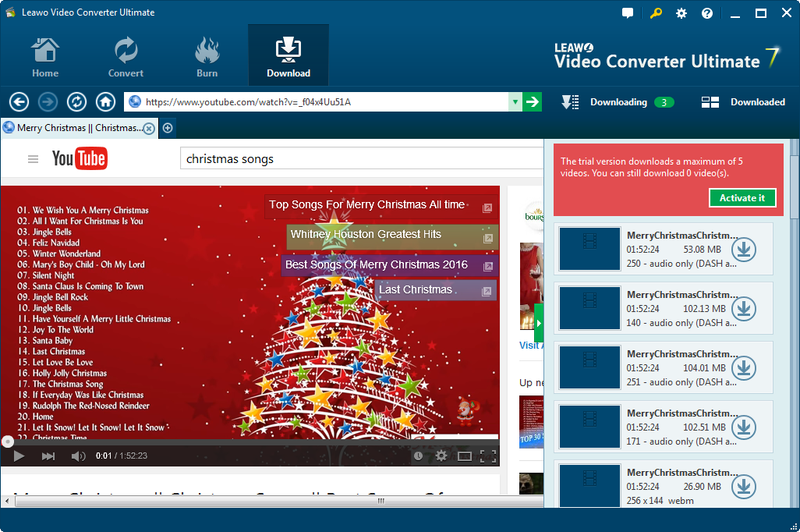 You could also use the built-in IE browser to browse the target carols or other videos for downloading. Click the little green arrow on the right side, and the wait-to-select panel will pop up, where all options of target carols at different resolutions will be listed. Choose the right resolution you want and click the download icon and then Leawo YouTube Downloader would download the YouTube carols directly. You are able to play back the YouTube Carol during downloading, and pause them at any minute you want. All downloading carols could be checked under the “Downloading” panel while the downloaded ones will be managed in “Downloaded” tab freely. Anyway, when the Christmas comes, you can enjoy yourself very much with Leawo Video Downloader downloaded YouTube Christmas carols. Leawo Video Downloader can download Christmas songs or Christmas carols with lyric as well so that you can teach your girls or boys to sing or know its origin and meaning. Whatever, Christmas carols on YouTube will do you a great favor for enjoying a special Christmas Day since you will easily and simply get what you want with this downloader.